Not only is Action Muffler Radiator & Brakes your source for brake, muffler and auto repairs in Edmonton, we also offer commercial fleet services for our valued customers. We work on trucks sized up to 3 tons and we’re proud to offer an array of premium benefits designed to help reduce the operating cost. 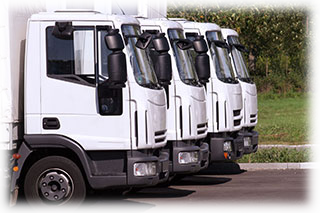 Depending on your fleet size and needs, we can service all of your small trucks and cars throughout the year at a special rate – contact us today to find out more! To keep your fleet on the road, we’re teamed up with government, commercial and small business programs. It’s just another way that Action Muffler Radiator & Brakes values our customers! If you’re looking to keep your business running with a minimal amount of downtime, we also offer same day services for your commercial fleet. We maintain, repair and try our best to accommodate you with our same day services as often as possible.